We welcome the GuaMango fruit tree! It's a Mango tree that produces mango fruit that taste like a guava fruit! The GuaMango is a semi dwarf variety grown in a 3 gallon container. 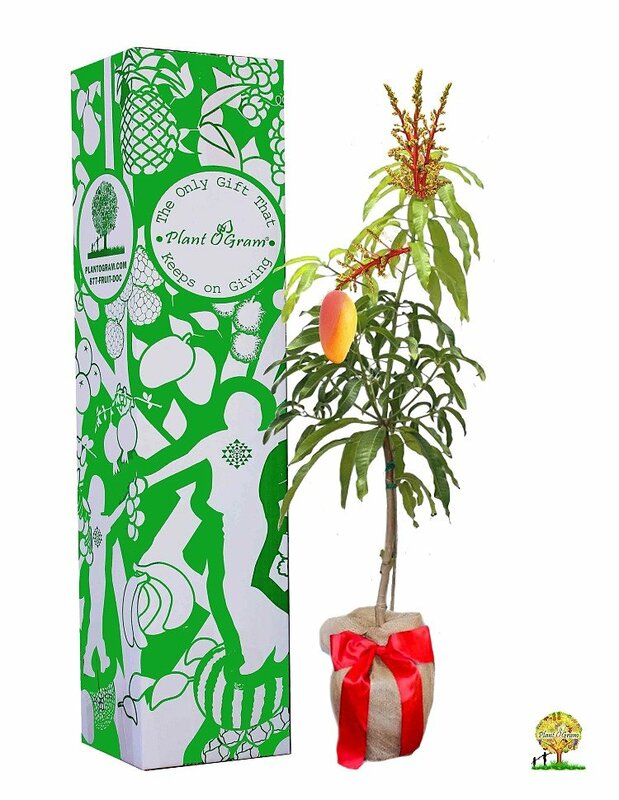 The GuaMango (pronounced Gwa-Mango) tree is a gorgeous, leafy lush green when ready to fruit this beautiful specimen will put out astounding bushels of flowers that will then produce pink blush colored fruit (color of the inside of a guava fruit) taste of a guava with a fiber less mango flavor. (This flavor is described as a Rose’ compilation with an extra hint of sweetness added.) This gorgeous tree can be kept indoors (being a dwarf variety), makes a great addition to any space and still harvest fruit from.